Using white marshmallows for protons, and colored marshmallows for neutrons. Be courteous, use the spoon to take the marshmallows. Alpha particles are Helium nuclei. Make an alpha particle with two neutrons and two protons. 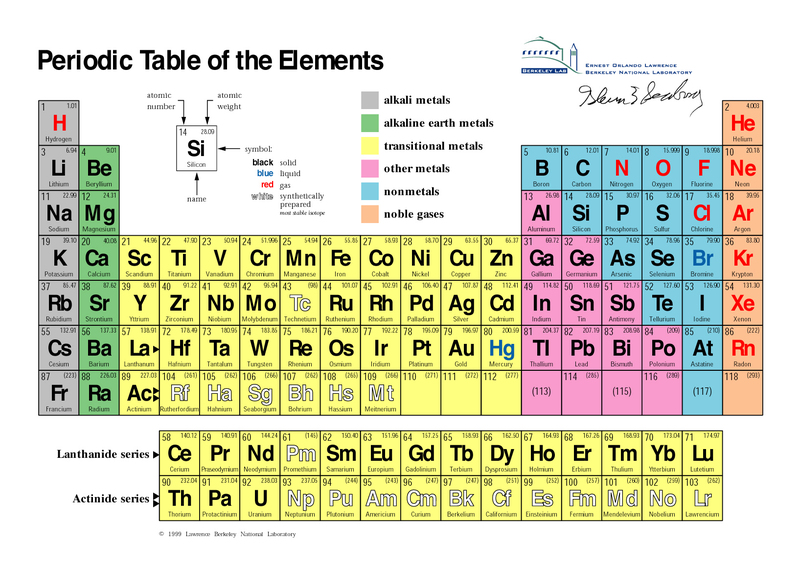 Find Helium on the Periodic Table of the Elements. Helium-3 is another isotope of Helium. It is stable and has only one neutron. Make an He-3 nucleus with one neutron and two protons. Helium-5 is an unstable isotope of Helium. It has three neutrons. Make a He-5 nucleus with three neutrons and two protons. Make the nucleus for Carbon-12 using six neutrons and six protons. Find Carbon on the Periodic Table. New elements can be made by adding nuclei together. Add the alpha particle to the Carbon-12 nucleus. What element have you made? Find it on the Periodic Table.